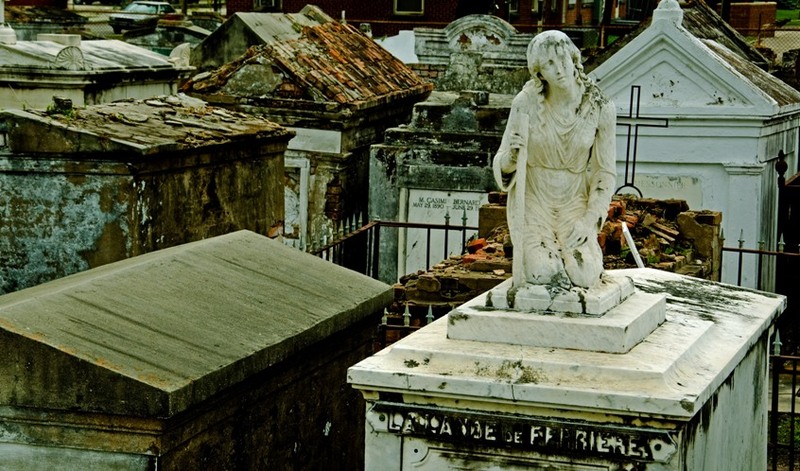 It wasn’t until I went with a friend to her family’s plot in a small town in Croatia that I realized how the water table in New Orleans dictated a European style cemetary. Having grown up in the New York metropolitan area with the acres and acres of prime real estate used by cemetaries, it was an intriguing concept to see the crypts and vaults like your photo. Thanks for sharing and reminding us there are many ways to honor our dead. There is really an atmosphere captured here. Wow, beautiful. Did you alter the photo, or is that the natural color/lighting? That’s pretty close to how it came out of the camera. My camera tends toward overexposure, so I did adjusted the exposure and probably tweaked the color and contrast a bit, but nothing major.